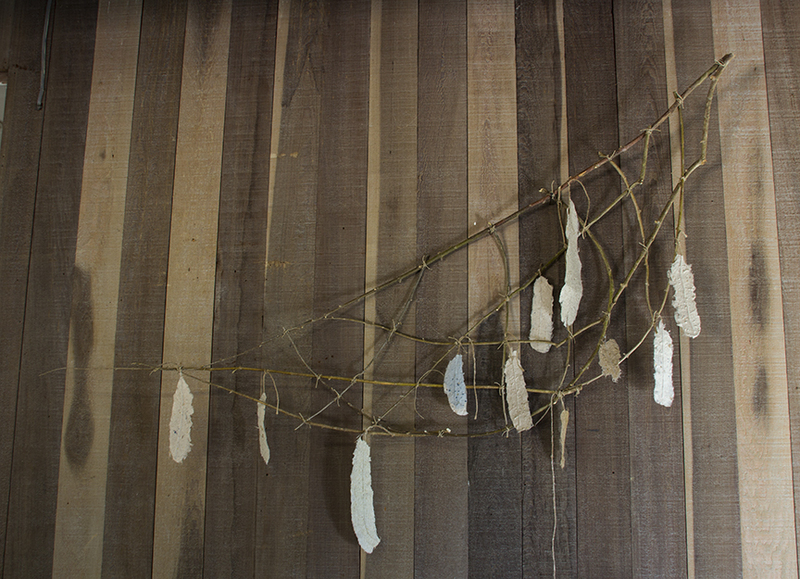 In my “For the Birds” public art project and residency at Point Reyes, CA, working with children in West Marin School and supported by Gallery Route One (www.galleryrouteone.org) and the Lucid Art Foundation with additional support from the West Marin Community Foundation, I used 7 local plants to make the handmade paper for the hundreds of paper feathers to hang from the big nest in the Commons and the many smaller nests installed int he trees along main street (Hwy. 1) in Point Reyes Station. The olive bark pulp was a nice tan color and interesting texture, but a little difficult to remove from the papermaking mould. 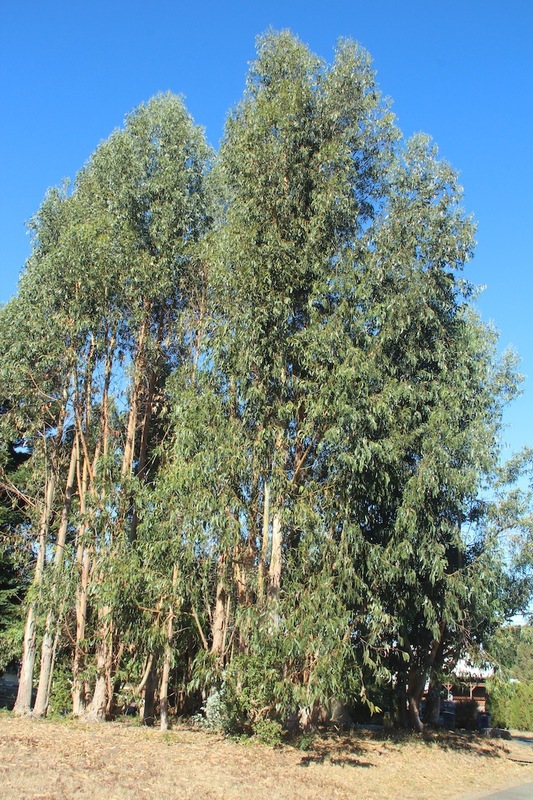 I think eucalyptus bark pulp is great and a nice rich dark brown color. I gathered the bark that was peeling off the giant trees along the roadside in this part of California. 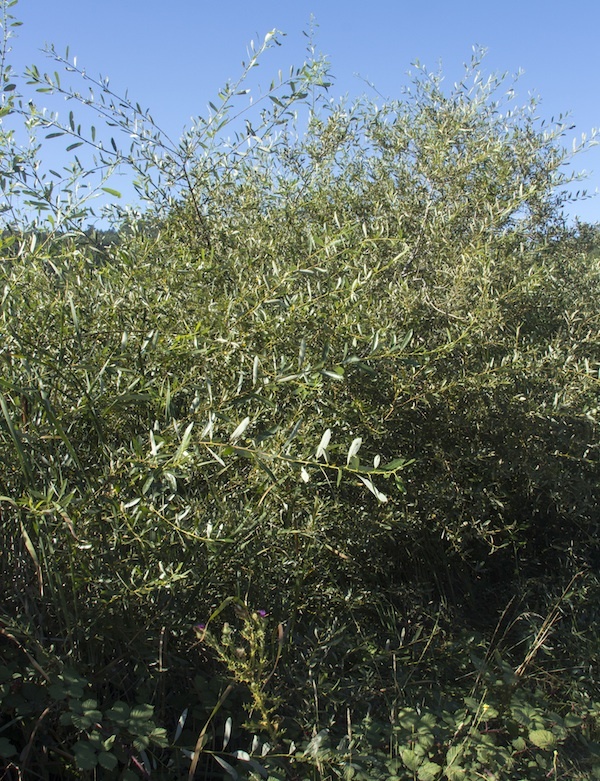 These willow trees are everywhere along the roadsides in the Point Reyes area. The road maintenance crew was trimming back the trees so they don’t cover up the road! 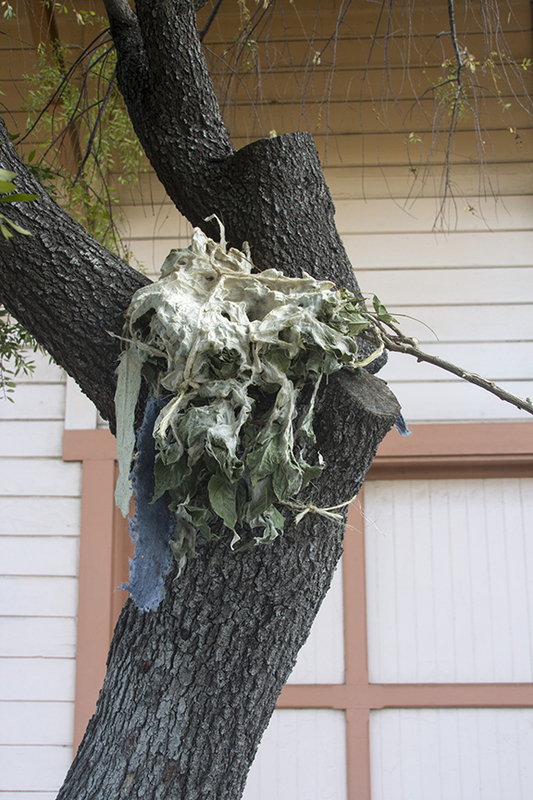 I was able to get many branches that were useful for papermaking as well as for making the nests. 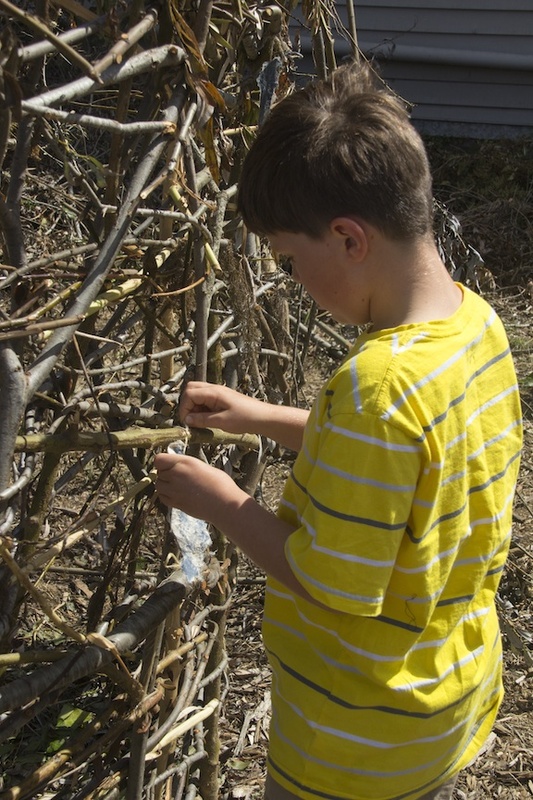 This willow is not so bendable as weeping willow, but still a great material for basketmaking as well as the bark being useful to make paper pulp. I like the color of the paper, a nice golden tan, but I think I needed to cook it longer as it was still very tough and stringy even after cooking for 4 hours. This flower is a member of the lily family, and the flowers are yellow and looks somewhat like day lily. 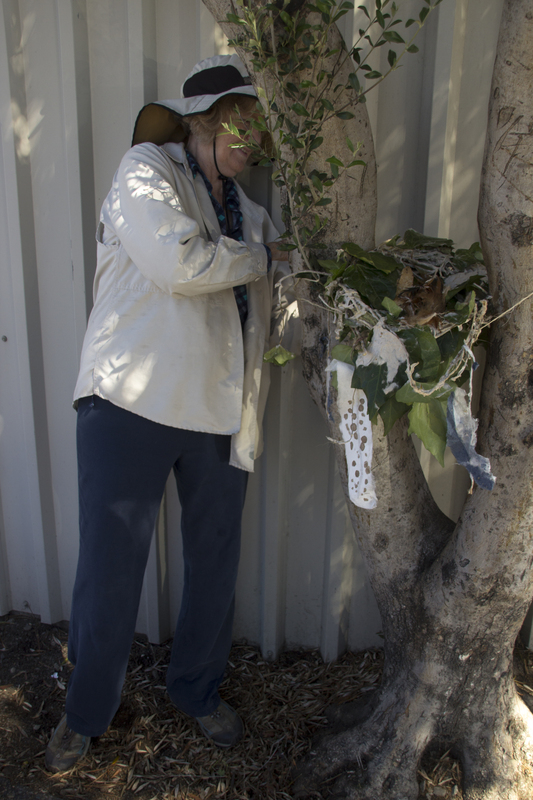 It was growing in the West Marin School garden near where we were making the handmade paper feathers for this public art project. 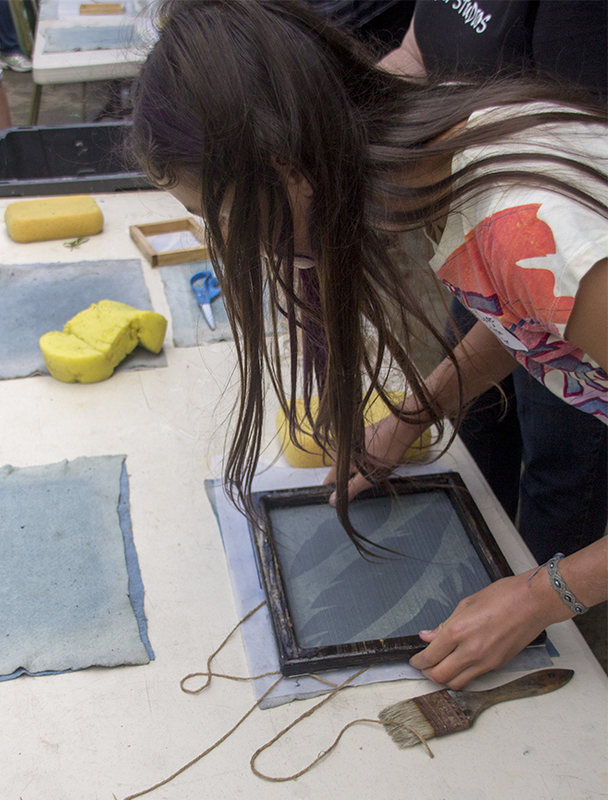 It proved to be an excellent plant for papermaking. 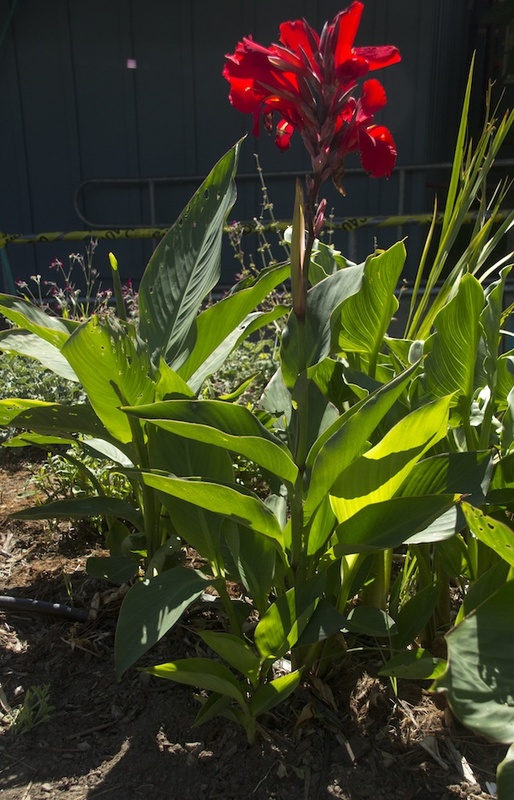 There were also many canna lily flowers in the school garden. This one has beautiful red flowers. 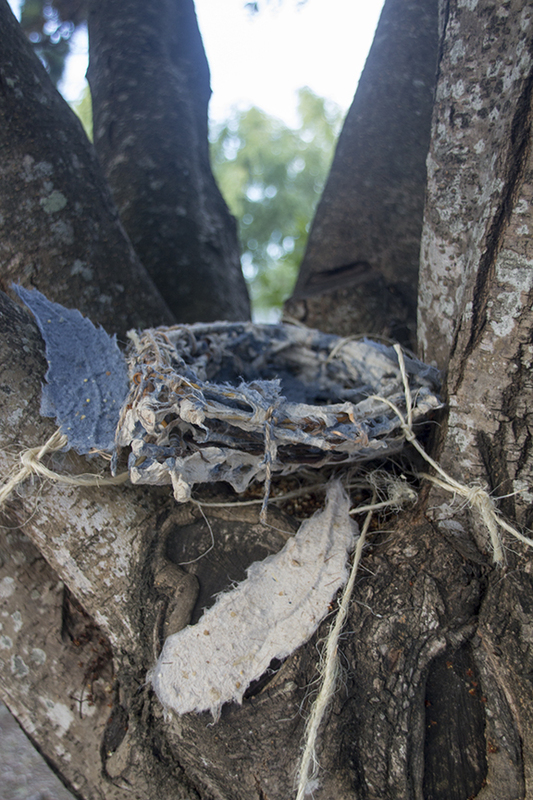 The leaves look big and promising for papermaking, but actually it gave little pulp. 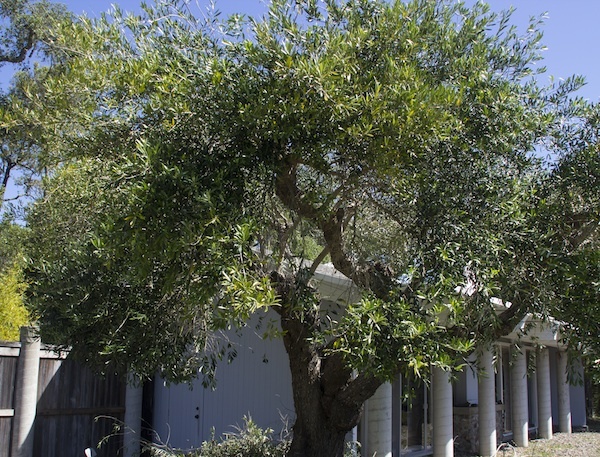 The leaves cook down so much that only a handful of pulp remained after the preparation. The paper is nice and crisp but it is probably not worth the trouble since the yield is so little. 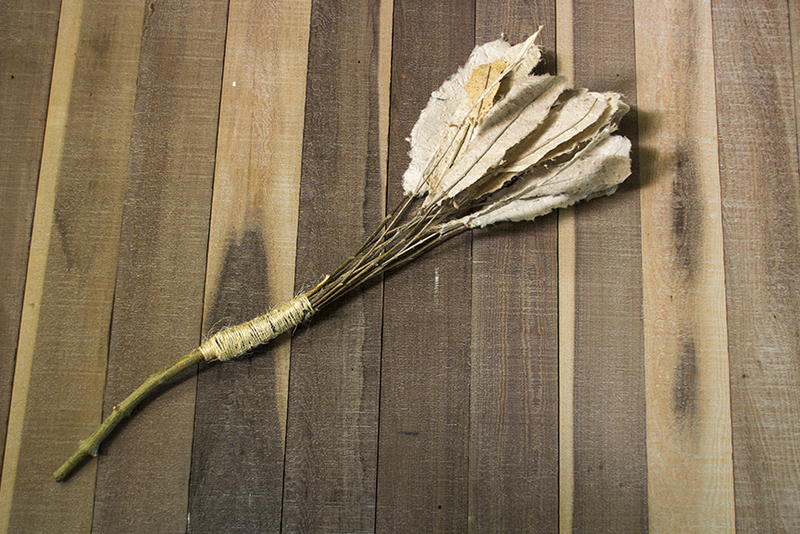 Cattail leaves are great for making paper, and I have used this plant before in Taiwan and other places. 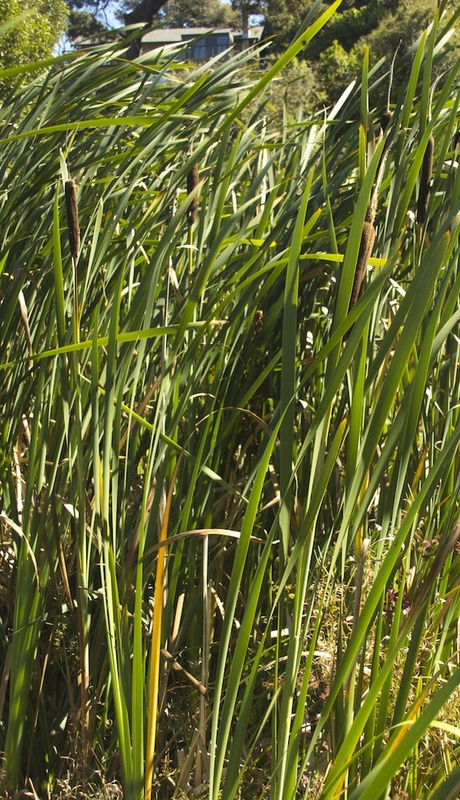 There are many cattails growing along the Tomales Bay in the Point Reyes area. 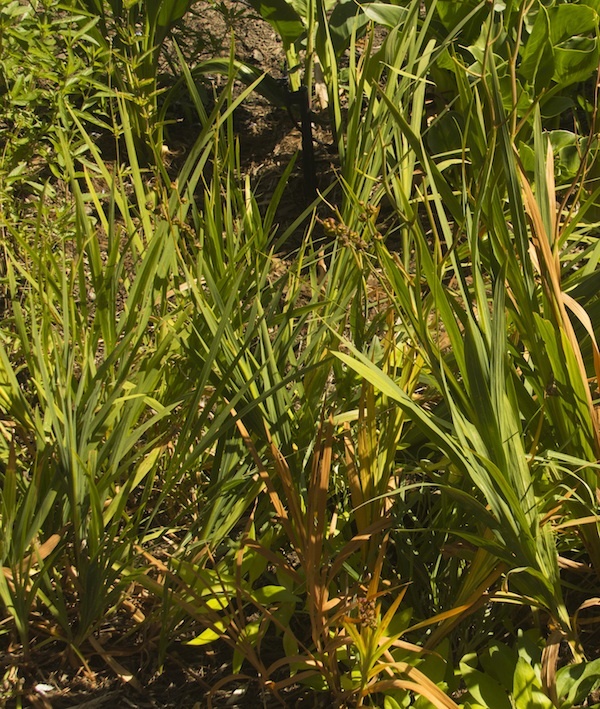 This is one of the most plentiful plants for papermaking in the area and it makes great paper…a nice tan color and good texture. 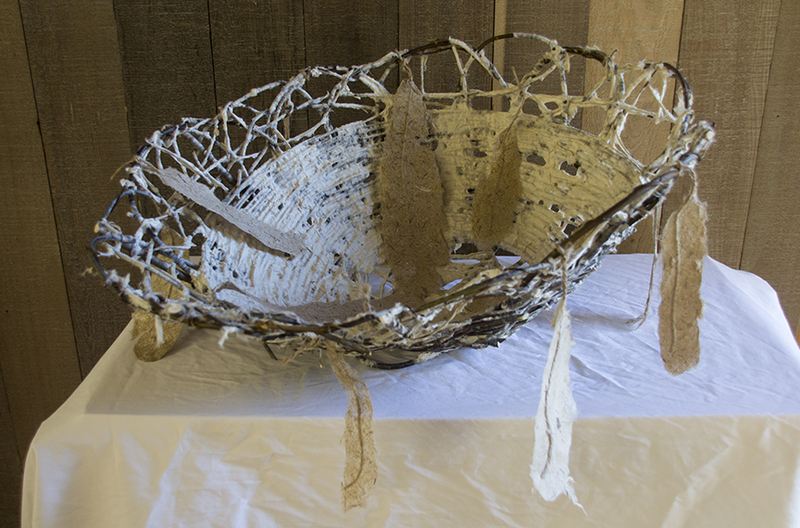 Corn husks are good for papermaking although the texture is a little rough. 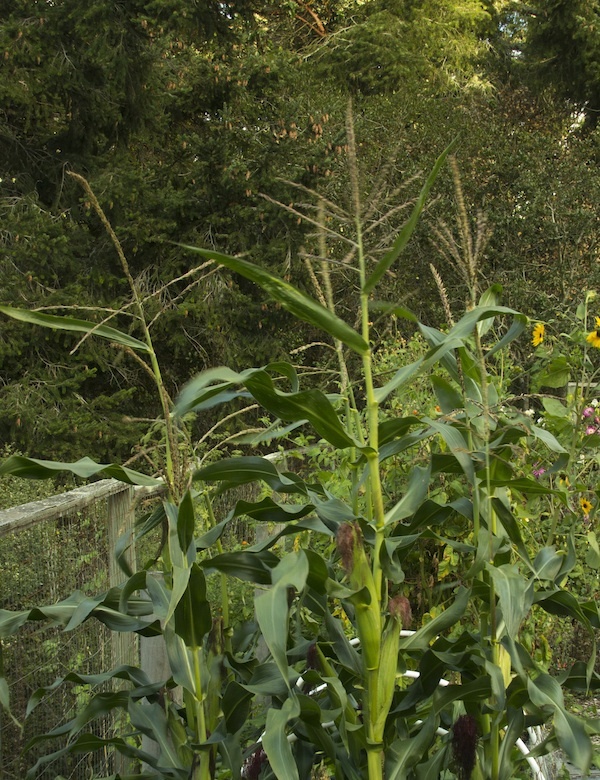 I got the corn husks by saving all the husks from the corn we ate during the 3 -week residency….yum. Corn husks are also easy to get at the local grocery store as usually they take away some outside husks before putting the corn out for sale. If you have any questions or want more information just email me. I made a sample book for Gallery Route One and Lucid Art Foundation that has the complete recipe and samples of paper made from all 7 of these plants used in the “For the Birds” project, Sept. 7 – 25, 2013. 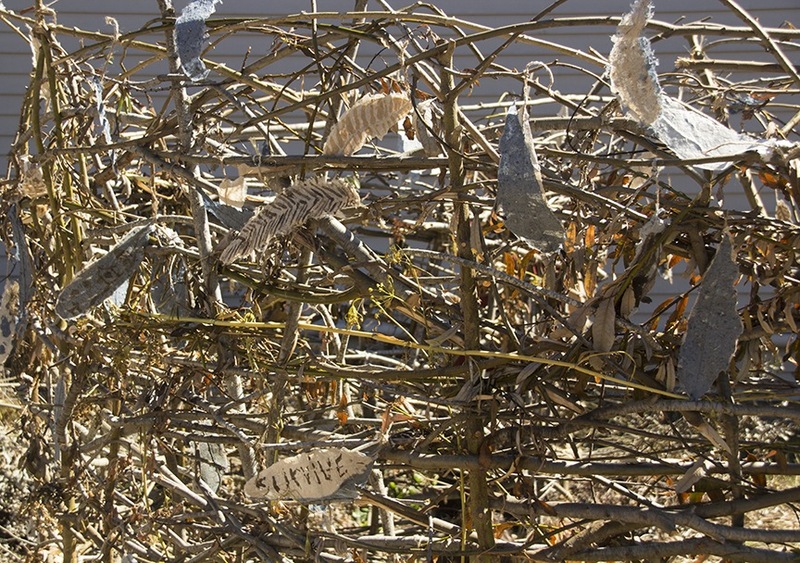 My Solo exhibition at Gallery Route One, Point Reyes Station, CA, titled “For the Birds” is on view from Oct. 25 – Dec. 1, 2013, and the exhibition contains mixed media sculpture installations and photographs related to my “For the Birds” public art project and residency in Pt. Reyes during the month of September. 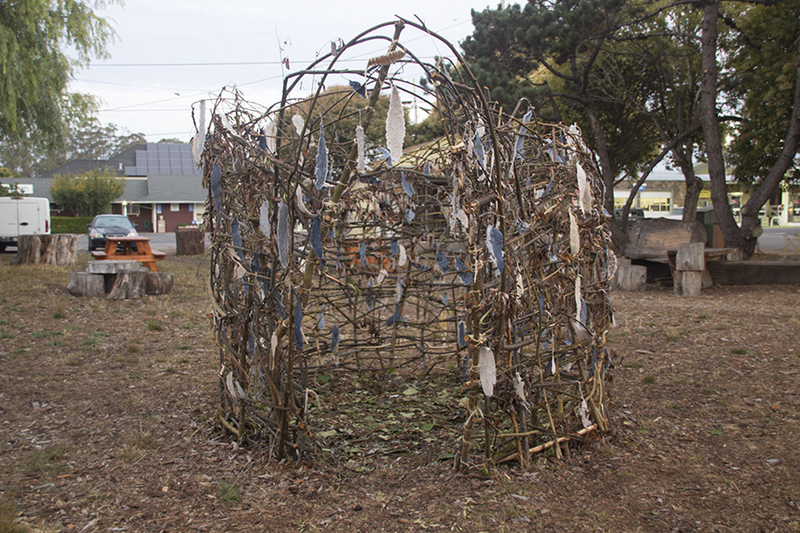 This public art project and school residency was a project of Gallery Route One’s Project Space and sponsored by the Lucid Art Foundation and the West Marin Community Foundation. 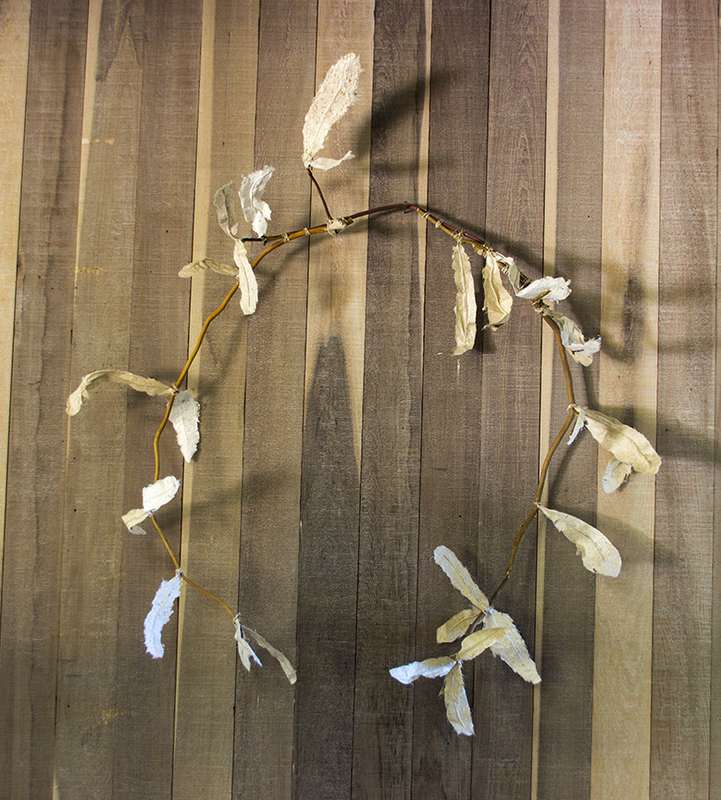 There are several wing sculptures made from found branches in the show, and they are on display along with many additional handmade paper bird feathers so that visitors can write some wishes for the environment on a paper feather and hang it in the gallery on a wing. 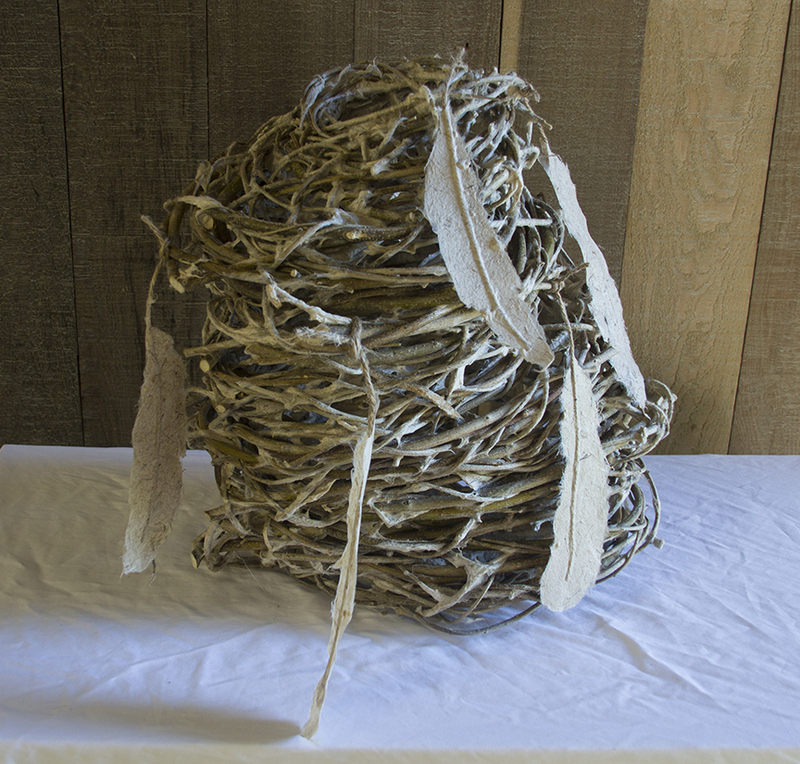 The large nest created in the Commons in Point Reyes Station is still on display with its many handmade paper feathers. 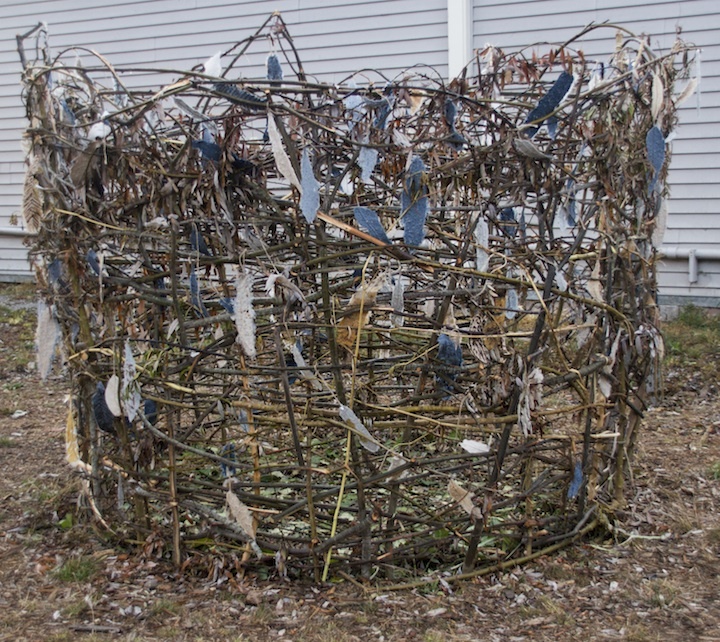 Also, the small nests created in public workshops and by the children at West Marin Elementary School are also still being displayed along Main Street (Hwy 1) in Point Reyes Station, CA. 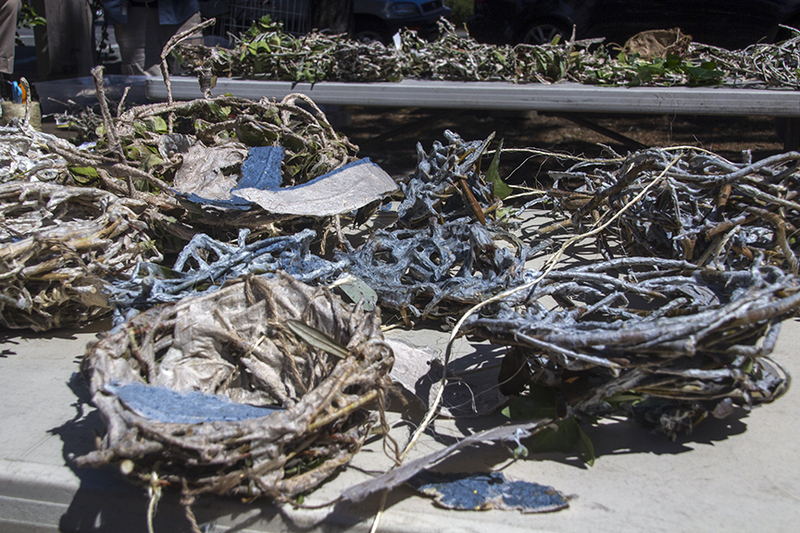 They will remain on view through Dec. 1, 2013, or until they biodegrade or the bird seeds get eaten by the birds.